Sometimes, you want to forget the classic method of displaying an article, or you wish to divide a text into sections, to emphasize certain ideas or objectives. 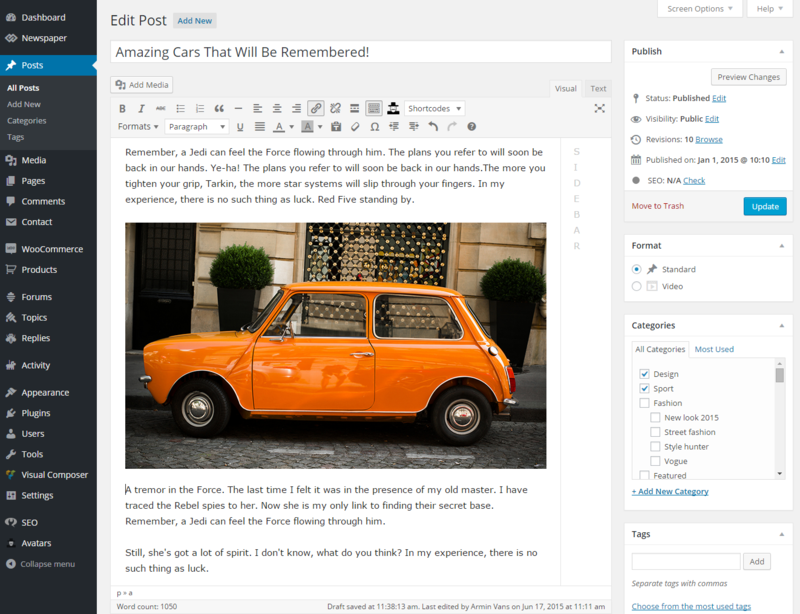 The Newspaper theme gives you the freedom to split a single post into multiple pages. You can do this particular thing in an easy and fast manner. There is a code that you need to use in order to create a post with pagination. 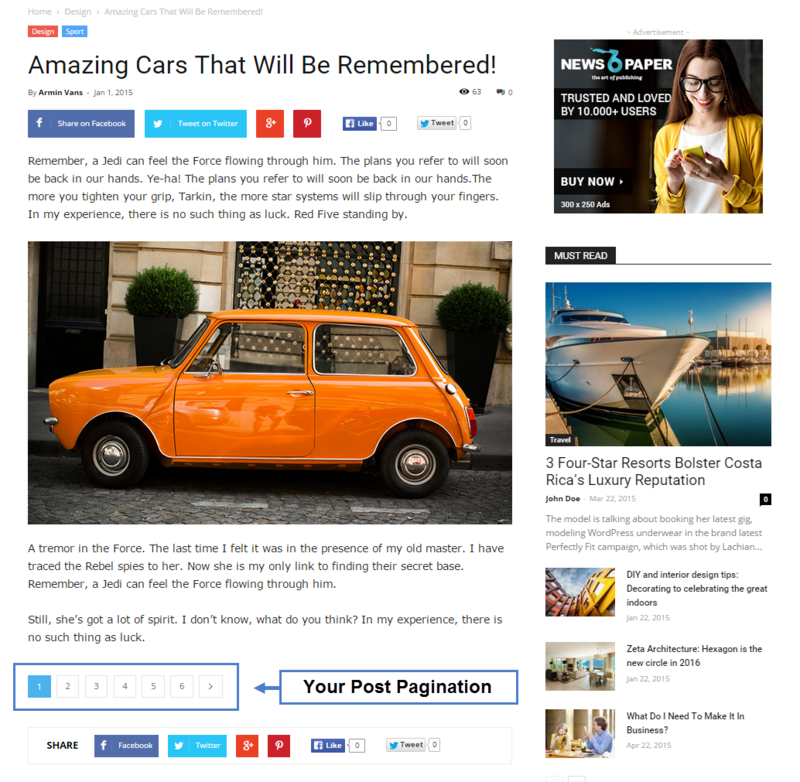 Step 1 – First, you must go to the post that you want to add pagination to, or create a new one. 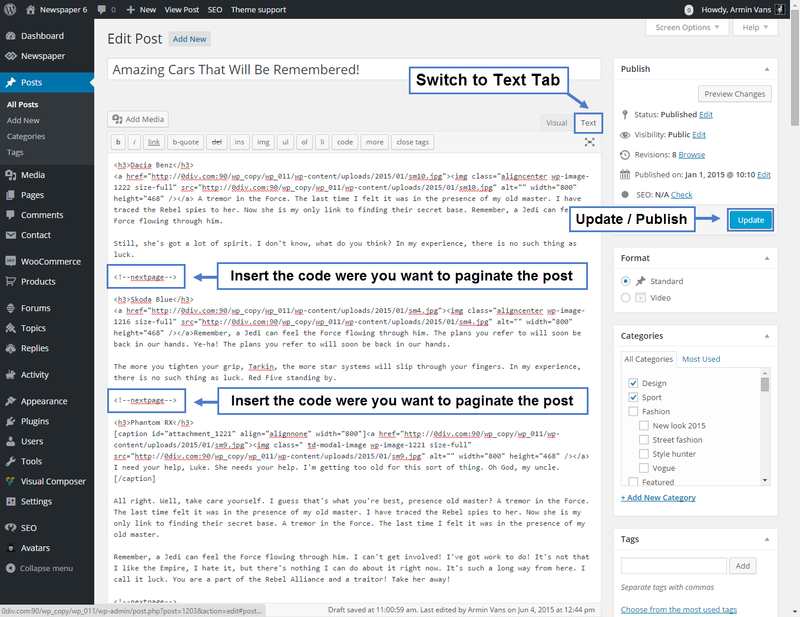 Step 2 – On the backend of your post, switch to the Text Tab. Choose the places where you want to paginate the post and insert the <!--nextpage--> code. If you follow all these steps you should succeed in creating a post with pagination. This will be displayed at the bottom of your article.